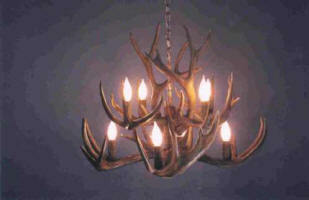 This chandelier is available in 36" to 44" diameters. 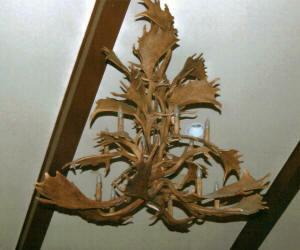 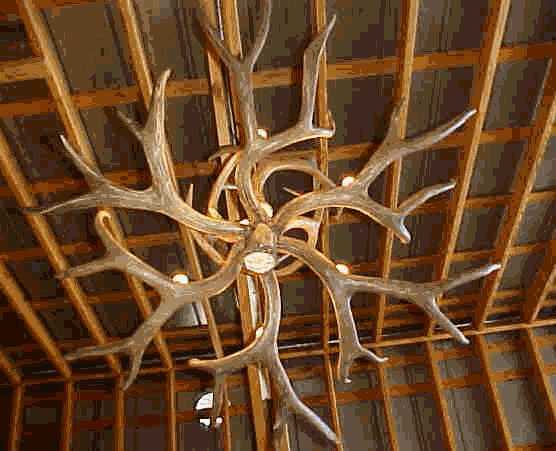 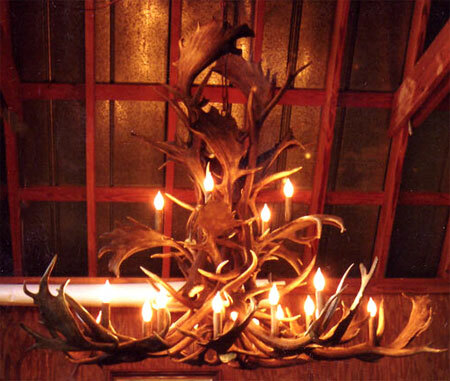 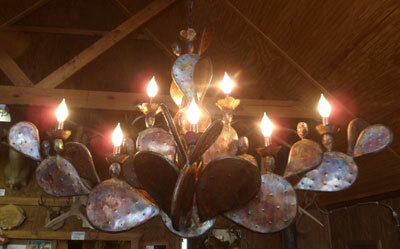 The Round Elk Chandelier - In its natural habitat! 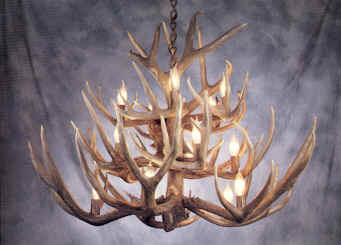 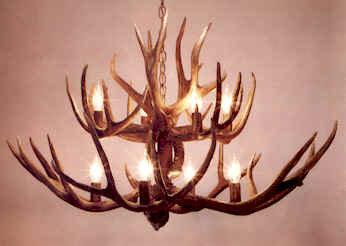 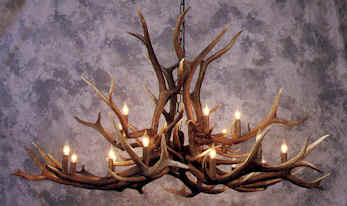 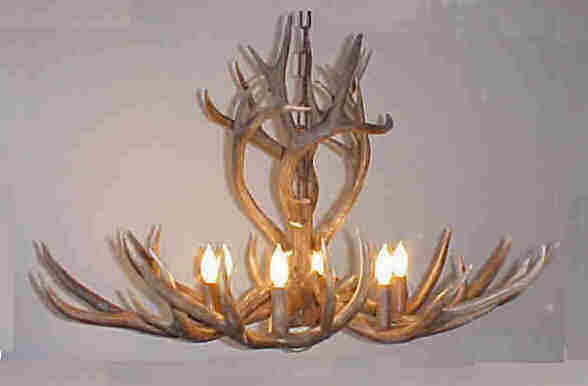 Delivery of all chandeliers are based upon availability of antler. 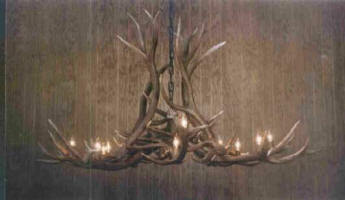 Due to the custom nature of our creations, we require a 50% deposit on all orders; the balance is due before shipping. 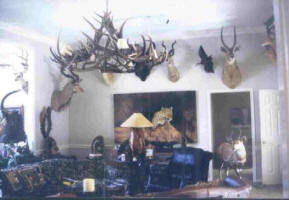 All prices are FOB Fredericksburg, TX. 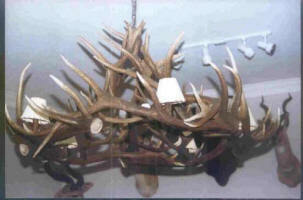 Shipping charges vary with the size and weight of the order. 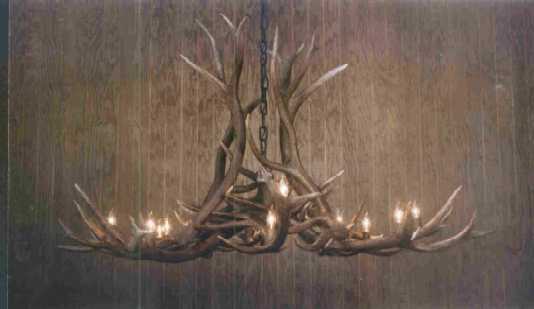 If you have any questions regarding the items in this catalog, please don't hesitate to call 830-997-2263 or email us at antler@ktc.com. 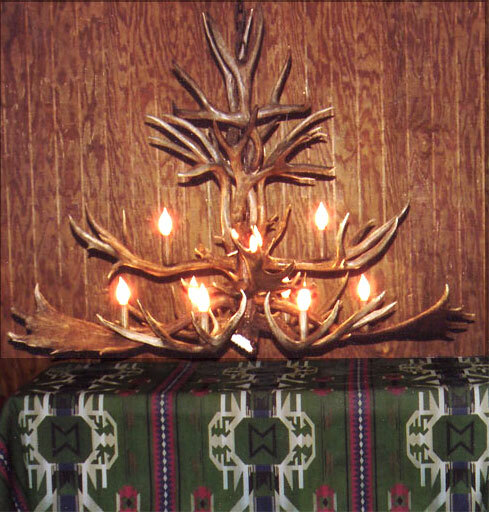 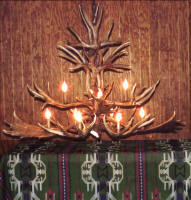 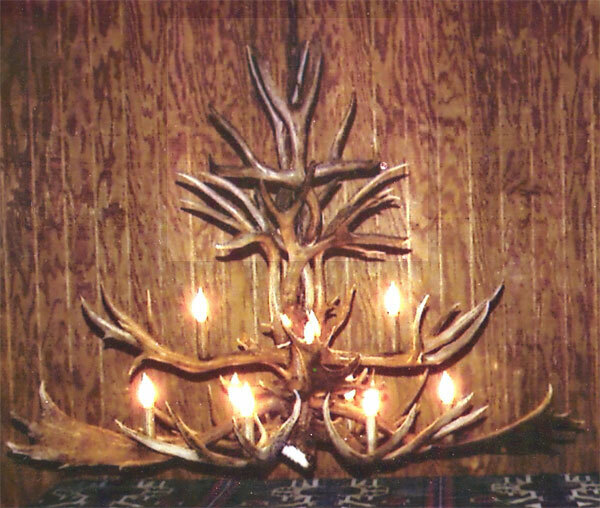 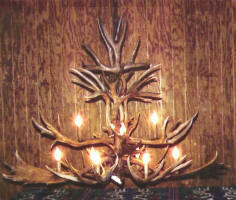 Thank you for considering the creations of Hill Country Antler Art as an addition to your home or office environment.